Today is the first day of Kwanzaa, which lasts for seven days (ending on January 1st). Kwanzaa is a non-religious celebration of culture and the significance of being African and human. It involves acknowledging the standing of one’s relationship with family and the environment. It was created in 1966 by Dr. Maulana Karenga, a professor at California State University. He wanted to bring together African-Americans after experiencing riots and used existing harvest celebrations to found Kwanzaa. 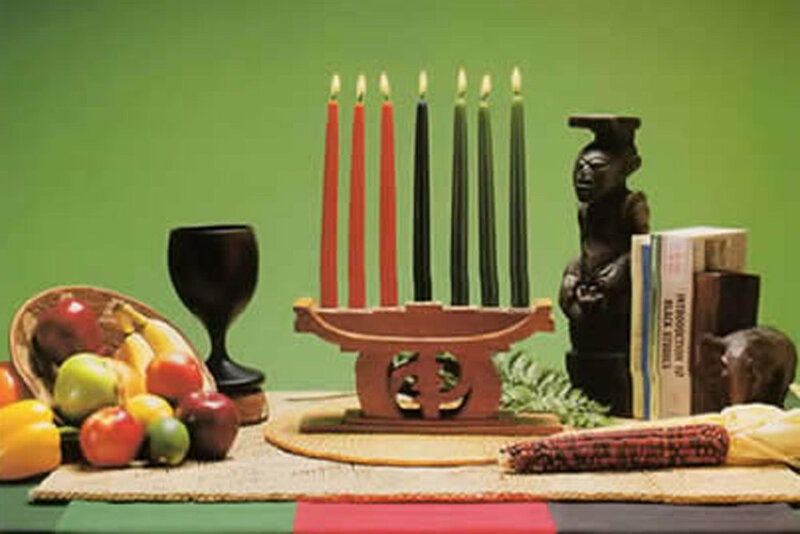 Accordingly, Kwanzaa came from a Swahili phrase that translates into “first fruits” in English. Kwanzaa is often celebrated with a big meal on December 31st, African drums, music, dance, and stories. Each night, one of the Nguzo Saba (seven principles) are discussed while a child lights one candle on the Kinara. The seven principles are unity, self-determination, collective work and responsibility, cooperative economics, purpose, creativity, and faith. There are also seven symbols associated with Kwanzaa: crops, a place mat, an ear of corn, seven candles, a Kinara, a Unity Cup, and gifts (usually homemade).